Southeast False Creek Community Energy Centre was developed utilizing sewage heat recovery to provide heating and domestic hot water to the local community. 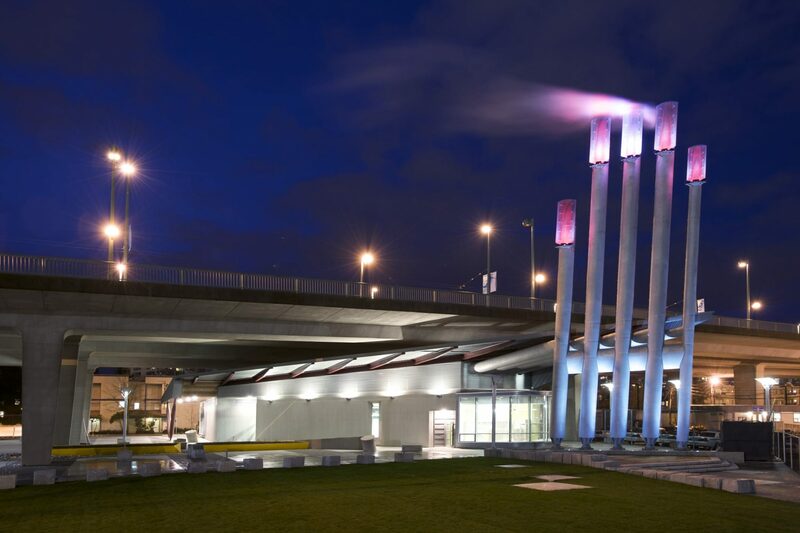 PECHET and ROBB Art and Architecture were retained to design the required five emissions stacks as a public art amenity and mitigate the industrial impact in a modern urban area. To reflect the fact that body heat is transferred from one person to another Pechet and Robb invested the stacks with a human quality. The design concept called for each finger-like stack to be topped with a fingernail-like light fixture. The nail colour was to in response to the amount of energy being generated from the energy centre.